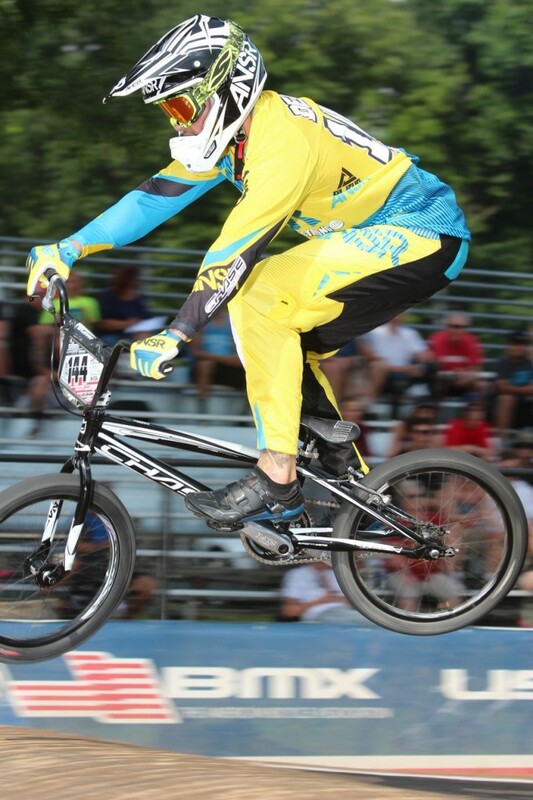 The Chase BMX Pro Factory team riders Connor Fields and Joris Daudet headed off to one of the staples of the USA BMX Pro Series in Rockford, IL for round 8 of the 2014 tour. Rockford is one of the longest standing tracks on the National tour, as it really showcases the fastest riders in BMX skills, as the first straight away is more like a drag strip than a BMX track. The giant banked turns let the riders pour on the power and let it all hang out. 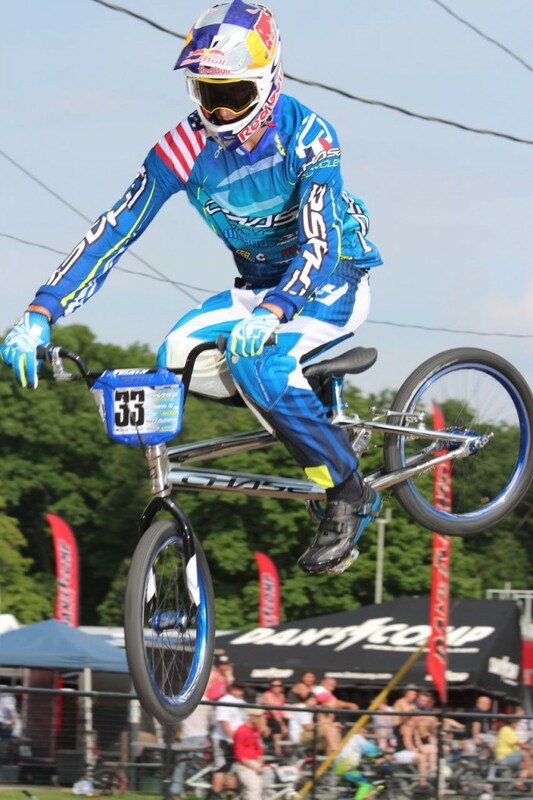 Its always a great atmosphere at the “Rock” and being the first race of the Summer, the fans were excited not only for the great weather, but looking forward to some great racing from the USA BMX Pros. 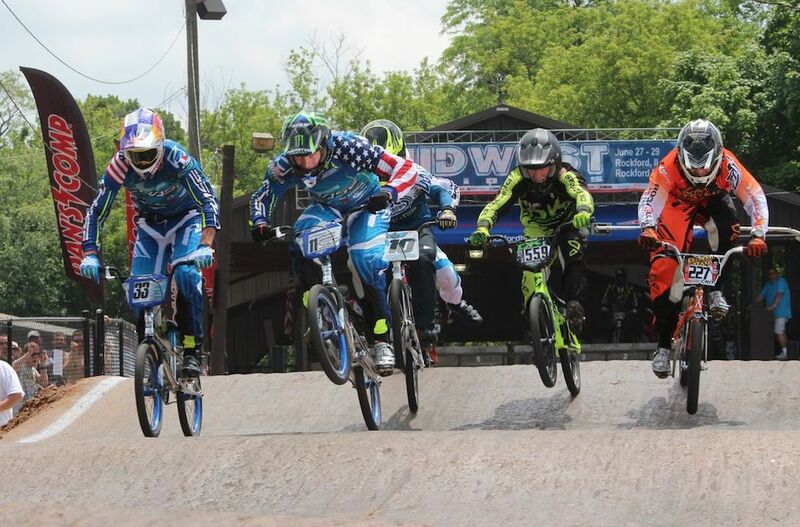 On Day 1 both riders looked strong all day, making their way into the Elite mens main event, along with Chase BMX / Stay Strong Elite Anthony Dean. In the main event, Connor would place 4th, Joris 5th, and Anthony would finish up 7th. On Day 2, All 3 riders once again made their way into the Elite Mens main event, this time with Joris taking the top spot of the 3, as he stood on the podium with a 3rd place finish. Connor was just off the podium with a 4th . Overall a good weekend, with the riders being consistent and mixing it up with the Mid West National fans all weekend. 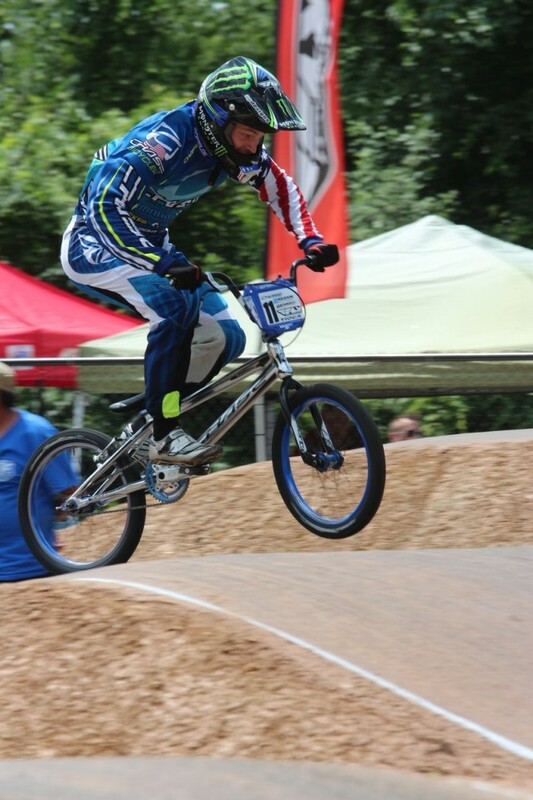 Joris now heads off to Europe for both the French National Championships and the Euro Finals, with Connor heading off to South Park next weekend for the next round of the USA BMX Pro Series. With the World Championships coming up in 4 weeks, the riders will then have a 2 week break before going for the UCI World Championship titles in Time Trials and Racing in Holland on July 27th. 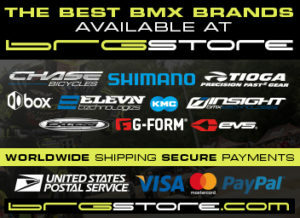 Chase Bicycles would like to thank all of the team partners and to the fans for their continued support!